Canterbury Makers – the popular collective of local crafts people, food producers and artists – has returned to Whitefriars. The award-winning pop-up shop has reopened in the former Build-A-Bear Workshop in Gravel Walk. 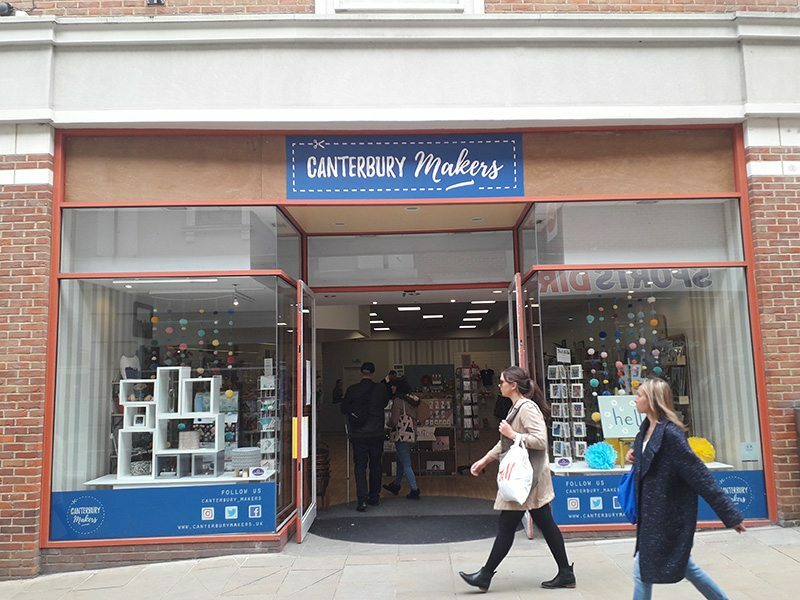 The Canterbury Makers pop-up, and in its former guise of the Whitefriars Food & Craft Market, has been a regular feature of the city’s streetscape over the past six years. In that time, it has grown in popularity with both sellers and customers and is now home to over 40 independent craft businesses. New to the ever-changing line-up are Alison Lush Jewellery, Jago, Nelson Were Designs, Elizabeth Anne Textiles and Bears by Emma Jane. Canterbury Makers will be open from 10am to 5pm Monday to Saturday and from 10.30am to 4.30pm on Sundays.